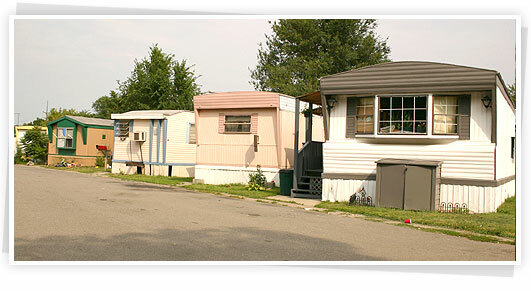 Bay Realty Blog: A"PRE HUD" "Mobilehome" & a "HUD" "MANUFACTURED HOME"
A"PRE HUD" "Mobilehome" & a "HUD" "MANUFACTURED HOME"
A little History on Manufactured Homes AKA Mobilehomes. They have come a long Way Baby! Thanks to John DL Arendsen for providing such good information! & a "HUD" "MANUFACTURED HOME"
"MOBILEHOMES" were built before June 15, 1976. For all intent and purpose they were a slight cut above their little brother the traditional "TRAVEL TRAILER". A Mobilehome was wider. Usually between 10 and 12 feet wide compared to the legal trailering width of 8 feet allowed for autos and pick up trucks . It was longer. Usually longer than 40 feet.It came in multiple sections commonly referred to as a "SINGLEWIDE", "DOUBLEWIDE", "TRIPLEWIDE" or other. It was generally constructed with thin walled framing much like its little brother the "TRAVEL TRAILER". Typically 2x3 inch exterior walls and in many cases 2x2 inch interior walls. It was clad on the exterior with aluminum siding. It was lined on the interior with a 3/16th inch photo finished veneer paneling or a photo finished wall covering. The roofs were, for the most part, a slightly pitched 2/12 foam insulated lightweight 1x2 inch wooden truss system with an aluminum wrapped overlay which continued to give the "MOBILEHOME" appearance of a "TRAVEL TRAILER". Thus the name "COACH" was introduced and became an accepted and definitive distinction set apart with a bit more snob appeal and panache. It continues to be referred to as such by some of the original old timers from the late 60's albeit that pool is drying up through natural attrition. The baths and showers were generally a very thin fiberglass '"WRAP AROUND" enclosure with very trailer like appointments. Counter tops in the kitchen and bathrooms were primarily Formica. In fact in some respects I almost blame the MOBILEHOME biz for the invention of Formica. Many if not most of the plumbing fixtures were molded from plastics. The electrical capacity was usually 35 to 50 amps which limited heating and air conditioning capacity. The spaces/lots tended to be on the smaller side thus making it difficult to do much in the way of ancillary features i.e. decks, carports, awnings, etc. In walks the June 15, 1976. The introduction of the "HUD MANUFACTURED HOME" and by 1981 out goes the "MOBILEHOME" never to return. There is myriad technical and frankly very boring facts, regulations and technical specifications about what a HUD MANUFACTURED HOME is and is not. If you want a broader and more technical and concise overview please feel free to visit some of the many other posts we've written on this subject on both Active Rain and Trulia, visit our very user friendly website or contact us by email or phone and we'll be happy to provide any information or links for you. Albeit the framing (2x4 and 2x6 inch) was much heavier and better the industry didn't get totally away from aluminum siding and thin walled paneling until the early 80's. But when they did many changes began to materialize. 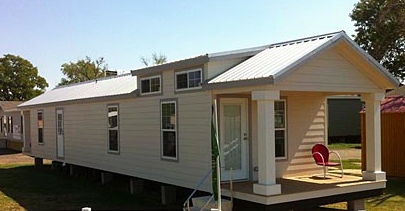 A MANUFACTURED HOME became available in even wider and wilder sizes from 12 to 16 feet wide. Lengths stretched out as long as 70+ feet. Curvilinear architectural details were being designed into the mix. Two story hybrid design concepts began to surface. 2x3 inch framing had been replaced with 2.4 and even 2x6 exterior walls and 2x3 and 2x4 interior walls. Aluminum siding was replaced with Masonite, T-111 plywood, vinyl and in some cases even stucco. Thin walled paneling was replaced by drywall. Roofs were a little beefier truss system with a steeper 3/12 & 4/12 pitched 3 tab fiberglass shingle roofing. Formica was replaced with Corian then granite and even marble counter tops. amperage was increased from 35 & 50 amp service to 100 and even 200 amp panels which could provide just about every electrical appliance you could think of including 220 volt service. Spaces/lots/parcels were larger providing room for spacious decks, awnings, California rooms, carports and even a storage shed. Now, I'll bet you thought that was the END of THE STORY. Well.........Sorry for that but there is still one more chapter to this book. The difference between a "MANUFACTURED" and a "MODULAR" home. So please, please, please............Let's quit calling a "HUD Manufactured Home" a "Trailer", "Mobile Home" or "Coach"! And no "MOBILEHOME" is not mis spelled. Traditionally it was always one word. 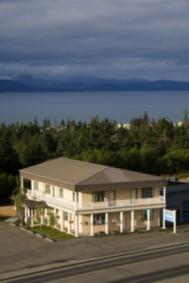 story Hotel and Resort Properties. Big thanks for the re blog Debra Leisek Hope it helps clarify a few misnomers. I'll be posting on HUD Manufactured vs Modular as soon as today if I can get my act together. BTW, I am not following you. Debra Leisek Thank you for the lesson on manufactured and mobilehomes! Great post to re-post with a ton of info.